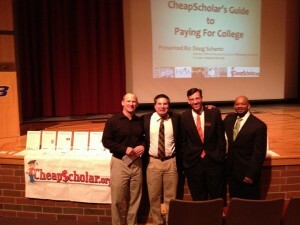 It has been a very busy and exciting year for CheapScholar.org. 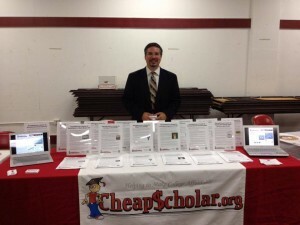 For those that don’t know, CheapScholar.org was “born” in January of 2010 as I took my passion for educating families and students about the financial aspect of the college experience to an entirely different level – the web. 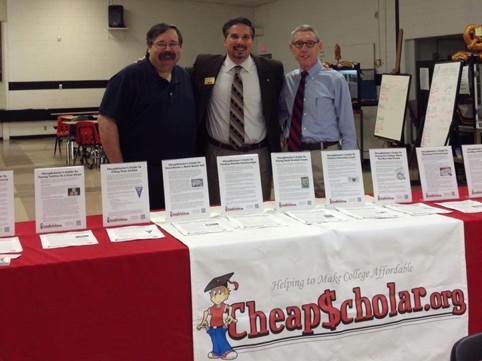 Since that time, CheapScholar has reached hundreds of thousands of visitors, provided support in the form of scholarships, delivered up 822 informative articles, and traveled the countryside providing Paying For College and Professional Development presentations for high schools, foundations, corporations, and organizations. I truly enjoy volunteering my time and expertise on this endeavor! 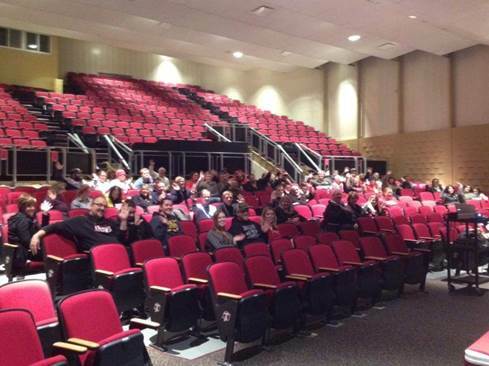 The following list of presentations (and pictures) represent just how busy the 2014 -2015 academic year has been. 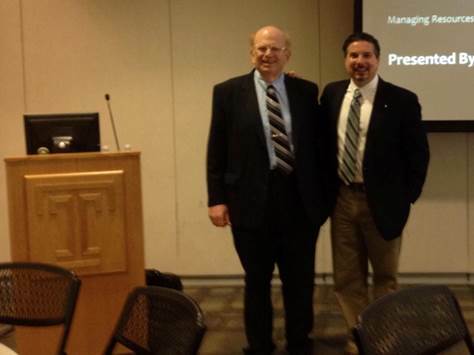 I appreciate the loyalty of our readers, the invitations from various groups to provide informative, engaging presentations, and all of our followers that stay connected via social media. 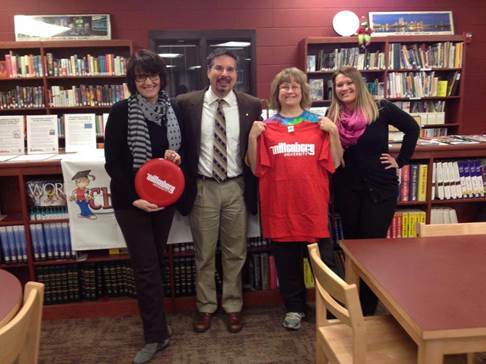 I look forward to another great year! CheapScholar – Oh, The Places You’ll Go! 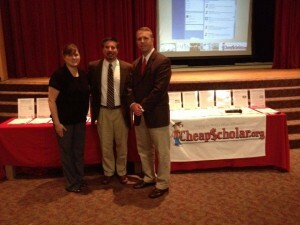 It has been a very busy year for CheapScholar.org. 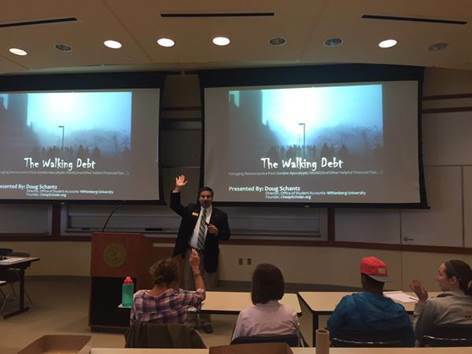 We do our best to keep up with our web and social media presence, but we also spend a significant amount of time partnering with high schools, foundations, corporations, and other various professional groups to provide educational outreach programs for families and students that are preparing to navigate the financial aspect of their college experience. Below represents many of the places we have been this academic year – be sure to check out the pictures as well! I want to take a moment to thank all of those that have attended our events or provided support in our efforts! May 29th – Keys to a Successful Financial Literacy Program (Webinar), Featuring CheapScholar.org and sponsored by Account Control Technology, Inc.
Have Something To Say? Write For CheapScholar! 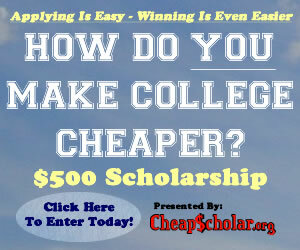 CheapScholar.org serves a purpose far greater than just being a website that provides great information to help make college affordable for students and families. 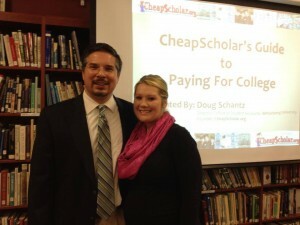 CheapScholar.org is a forum that allows parents, students, college administrators, high school counselors, and higher education service providers an opportunity to share their expertise and knowledge with others. This collaborative sharing of information in an easily accessible arena (the web) aids future scholars in reaching their educational goals. Whether you are a seasoned veteran at traversing the financial aspect of the college experience or you are just beginning your journey, CheapScholar.org is here to provide an opportunity for you to share your successes and/or tribulations. If you would like to write an article to be published on CheapScholar.org, the following are some guidelines for your submission. Anybody can do it! Whether you are a blogger, a CheapScholar.org reader or just someone that has helpful information to share, we want to hear from you. The subject matter of the article has to somehow be related to the financial aspect of college. Some examples are topics related to Paying For College, Saving For College, Financial Aid, Education Loans, Scholarships, Grants, Etc… Check out our TAGS in the right hand column for more ideas or look at our Archives. No commercials please. If you are wanting to represent your organization and/or your services on CheapScholar.org, provide great content in your article and our readers will be sure to visit your site and check out what you have to offer. We will share a link to your site in the byline of the article. Length doesn’t matter. Sometimes the best information comes in small doses. The important thing is that your article conveys the message that you are attempting to communicate. Now if you decide to write a thesis, no problem, I will just break it up into a series of articles. Article needs to be original, written by you, and not previously published on other websites. 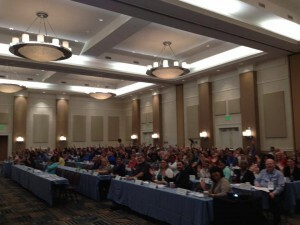 Articles meeting the guidelines above can be sent to CheapScholar for consideration. I will respond to submissions right away and let you know if it will work for our site. Once your article is approved, it will go into the production queue and I will notify you with a date and time that it will be published on CheapScholar.org. If you decide to submit articles on a more frequent basis, I will also recognize you and your efforts on our Contributor Page. I look forward to hearing from any budding writers out there that want to share their experiences and/or wealth of knowledge with others. 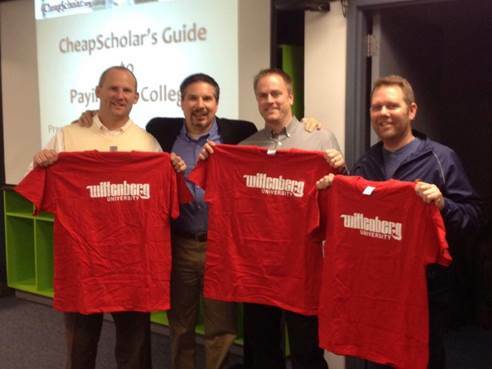 Check It Out – CheapScholar Is Going Mobile! It appears that a passion for smart mobile devices is sweeping our nation (and even the world). As more and more of these little hand held wonders make their way into our lives, it only makes sense that CheapScholar.org adapts the manner in which we deliver our information to our readers. So, as of this week, the good news for all of our mobile readers accessing our site via your iPhone and Android platforms is that you are now experiencing a simpler way of viewing all the great content and resources provided on CheapScholar.org! We hope you enjoy the new layout for your mobile devices and please be sure to share your positive experience with other smart phone users. 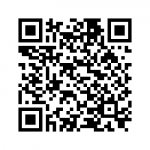 If you have a mobile device and you would like to take a test drive of our new mobile platform, scan the following QR code with your phone and it will take you directly to our College Resource Center. 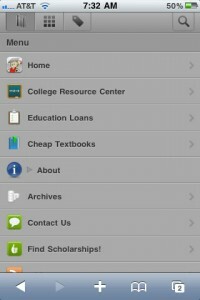 For those that are utilizing iPhones, when you visit the site you will be provided the option to add CheapScholar.org to your list of icons on your phone. If you want quick access to our resources, all you have to do is follow the prompts (tapping the + sign) to add the following icon to your phone. I hope you enjoy the new mobile platform on CheapScholar.org. We are always looking at ways in which we can improve the CheapScholar experience for our readers. If you have additional suggestions, please feel free to drop us a line. The good people over at WiseBread.com have an ongoing ranking that references hundreds of the many thousands of financial blogs available out on the web. The ranking looks at a number of categories (Social Media Presence, Search Engine Optimization, Alexa Rankings, Site Traffic, etc…), and puts them through an algorithm that provides a final score – known as a Wise Score. This score applies the final ranking to the various sites and then lists them in numerical order. 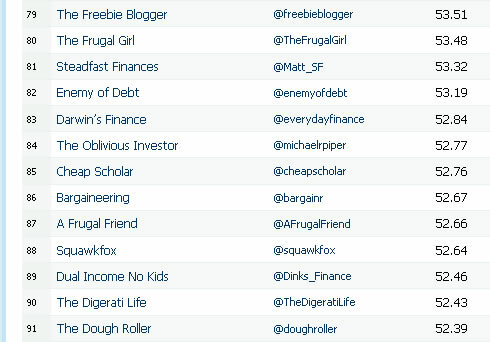 Based upon all of the above, CheapScholar.org was recently ranked number 85 in the Top 100 Financial Blogs. Below is a snapshot of our standing. As you can imagine, I am very humbled and honored to be ranked with more seasoned veteran bloggers like Bargaineering and SquawkFox. Since the rankings are fluid and subject to change, it is possible that CheapScholar.org may go up or down on future updates. However, I will gladly accept our current ranking and take it as a sign that we are successfully doing good things for others by “Helping to Make College Affordable”. 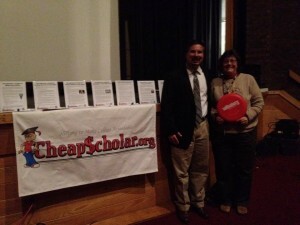 In January, I will be reaching the one year mark for CheapScholar.org. It is quite a milestone because I didn’t even know if I would make it past the first month when I initially started this little college money blog. 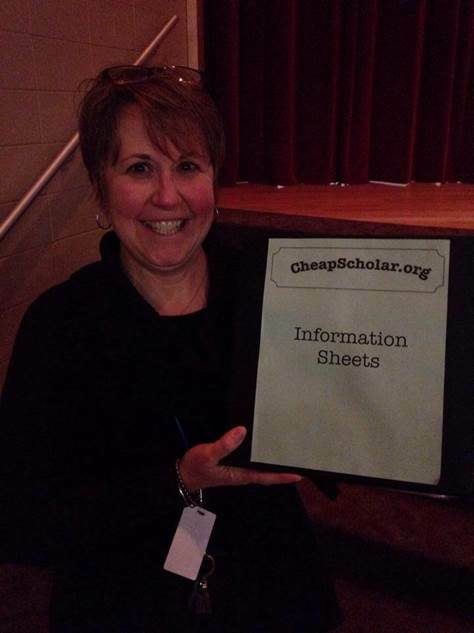 It has been quite a journey and I am greatly excited about what lies ahead (for me and CheapScholar.org). 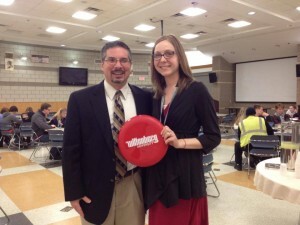 In an effort to help my readers, friends, and family better understand my commitment to CheapScholar.org and the impact it has on me, I decided to come up with the Top Eight Reasons I Blog on CheapScholar.org. Hope you find them informative and a little bit amusing all at the same time! Fortune: This is why anybody does anything right? 😉 Let me tell you that fortune (money) should not be a motivating factor for anyone wanting to enter into the world of blogging. As you can probably garner, everything on CheapScholar.org is free and there is no monetary incentive that keeps me engaged with my blogging efforts. I believe strongly in college accessibility and affordability – so much so that I am glad to volunteer my time and efforts with CheapScholar.org to help others. 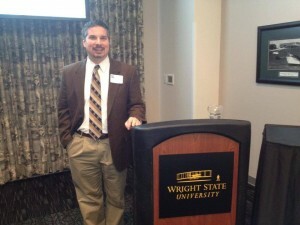 Helps Me Do My Job Better: I work in higher education in the student financial services arena. Most everyone that reads this blog probably knows that. By blogging on topics that are impacting students and their financial ability to access higher education, I am able to stay abreast of current trends related to paying for college. This helps me to be a better resource to not only my university but it also allows me the opportunity to better counsel the students and families in which I talk with day in and day out. 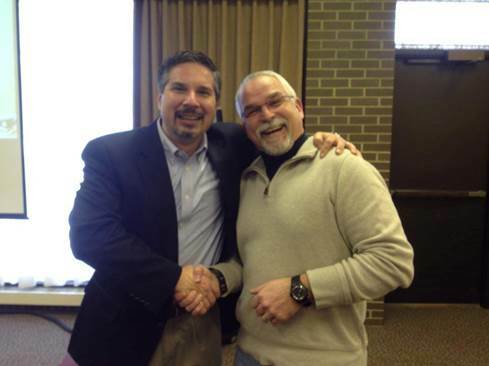 Amazing Networking: Over the past year, I have had the fortune of meeting some really neat people that are experts in their fields. A few of these folks have been fellow bloggers but a good number of them have been industry leaders working for companies and organizations that are helping to shape the future framework of higher education. 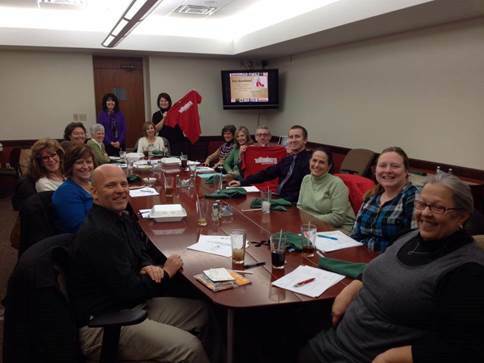 It is awesome to be on their “radar” and have the opportunity to “talk shop” with these great minds. Better Organized and Task Minded: Have you ever tried to work a full time job, manage a household, raise three children under the age of three, volunteer within your community on various boards and somehow think that you still have enough time to start a blog? I did…and more. Fortunately, I have a supportive spouse that helps out with many of the things I mentioned above. However, it does take time and you have to adopt a strict philosophy on time management if you are to survive. Most of my attention on this blog comes from when I am eating my packed lunch in my office during the week but I also sneak other hours in on the weekends when the kids are napping or sometimes after they have gone to bed in the evening. This blog always takes third place (sometimes fourth or fifth) after my family and my job but it is an important part of who I am so I always make sure to schedule time to get good content out here and respond to reader inquiries. Its All About The Karma: This kind of falls in line with number six but it is a little bit different. I used to watch a show called My Name Is Earl and it was all about Karma and the impact that it had on the main character – Earl. As with any sitcom I watch, this one was canceled but the lifelong lesson I learned was Karma. Karma basically states that if you do good things (or deeds) for others than good deeds (or things) will be done unto you. Inversely, the opposite also holds true – bad deeds equal bad things… I look at CheapScholar.org as my way of doing good deeds for others and hopefully increasing the positive Karma in my life. 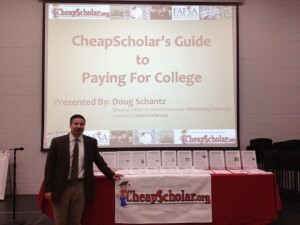 Hope you enjoyed my reasons for why I blog on CheapScholar.org. I am sure this list will grow over time but for now it provides a great snapshot of what keeps me engaged, excited, and motivated to keep plugging away. Awards and accolades come and go but getting to know and form relationships with the people that you meet along the way can last you a lifetime. It was recently brought to my attention that CheapScholar received recognition by CollegeScholarships.org as being a Top 20 Financial Aid Twitterer. While I am pleased to share this honor with our readership, I want to take this opportunity to help you connect with other great people that are trying to “Help Make College Affordable” for you and your families. 1. 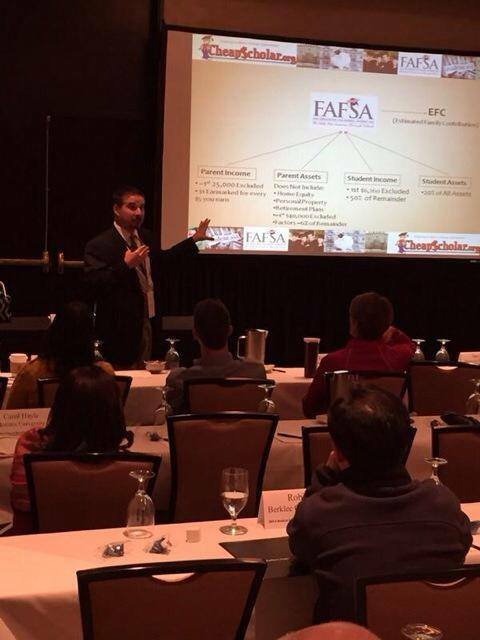 @Fafsahelp – Get tips on everything related to the Free Application for Federal Student Aid (FAFSA), and read up on the latest news concerning student loans and scholarships. 2. @studentloaninfo – This “Student Loan Ninja” updates readers with articles she discovered while surfing the web, all of which discuss student loans and financial tips for students. 3. 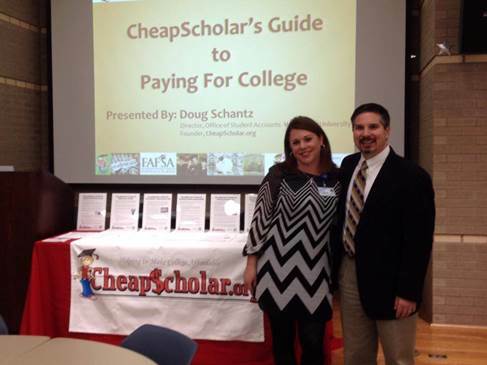 @BethWalker_CFC – Beth Walker is a “college funding expert” who posts numerous links to articles each day which provide various tips on scholarships, and how to save and/or apply for college. 4. @Student_Loan_US – Specifically for college students in America, these links cover the latest in private student loans, the Student Loan Consolidation Program, and politics. 5. @MoneyCollege – These tweets provide links to other articles about student loan horror stories, credit card debt, student employment, and even free music downloads. 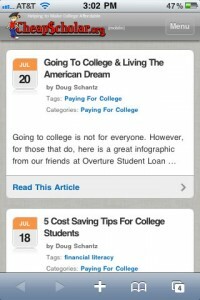 Users can also send in their own “college financial survival” tips to the author. 6. @CollegeBlogs – The financial aid guru Lynn O’Shaughnessy discusses the latest in educational and financial news for college students; many of the tweets reference articles published on her blog, the College Solution. 7. @securestudent – Read up on the latest in financial literacy news that is circulating around the web. Some tweets link to articles which provide tips on how students can avoid debt and maintain their bank account balance. 8. @StudentLoanNews – Some of these posts discuss student scams and loan repayment rates, but the majority of the tweets cover the latest political issues and events which are affecting the cost of higher education. 9. @educationmoney – Read up on the most frequently asked questions regarding student loans and bad credit, as well as tips for high school graduates and the latest in educational politics. 10. @GraduateCheap – These tweets cover numerous scholarship contests and opportunities for low or middle-income families, Pell Grants, and financial aid for minority students and single mothers. 11. @CollegeGamePlan – This humorous twitterer updates followers with articles he found which discuss tips on student debt and taxes, college applications, financial survival, and student loans. 12. @College_Experts – Get advice from college advisers and counselors who provide information on student loan debt, how to get accepted into college, or how to ace your exams. 13. @planettuition – This twitter account provides up-to-date news on financial aid, statistics on student loans and employment, as well as facts on the future of higher education. 14. @DodgeCollege – From textbook rentals and salaries, to college costs and student loan debt, followers of this account get updated on the latest in tuition costs, scholarships, and educational news. 15. @MYFinc – Learn how to “map your future” and your finances by reading articles on identity theft, tuition costs, how to raise your credit score, and employment after graduation. 16. 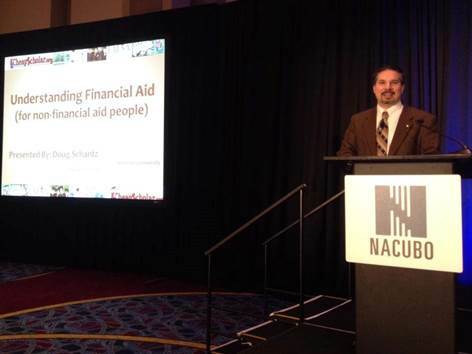 @nasfaa – From the National Association of Student Financial Aid Administrators (NASFAA), read up on the latest in American politics and how it affects your education. 17. @GradGuard – These tweets cover numerous complex issues every college student should be aware of, such as tuition and renters insurance, refund policies, and health care. 18. @intstudentloans – International students or students interested in studying abroad could learn a thing or two from these tweets. Stay up-to-date on the types of student loans and International health insurance options that are available in different countries. 19. 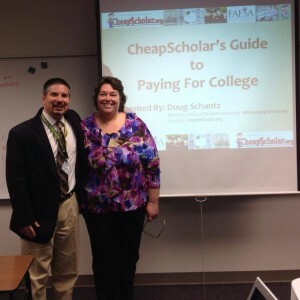 @CheapScholar – Doug Schantz works as a college administrator and his goal is to help others find out ways to make make education more affordable for college students. 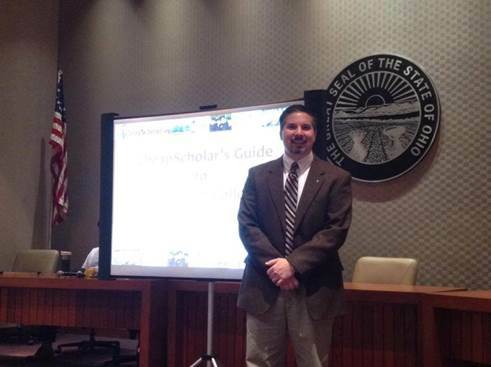 His posts discuss the cost of textbooks, tuition discounts, and health insurance tips. 20. @Green_Panda – College students/graduates can check out this twitter account to read up on personal finance, student scams, cheap travel options for students, and “what is cool on the web” regarding the latest in student loans and education. 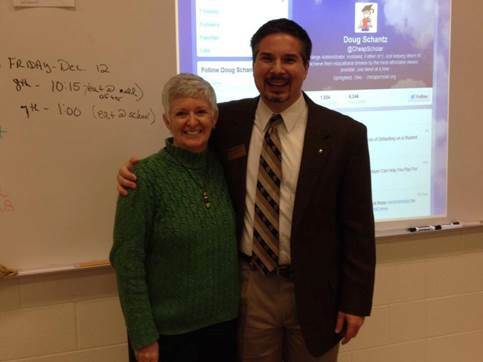 Recently Ranked as a Top 30 College Info Twitterer! 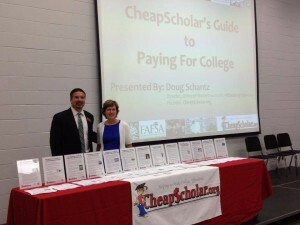 Just received great news the other day… CheapScholar.org was identified by Parents Countdown to College Coach, Suzanne Shaffer, as a top information source for families and students looking for substantive college news and tips to help them through the college search process. 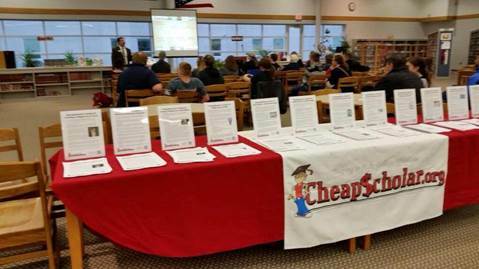 I am extremely pleased to see CheapScholar.org recognized for the information and assistance we provide to families/students. 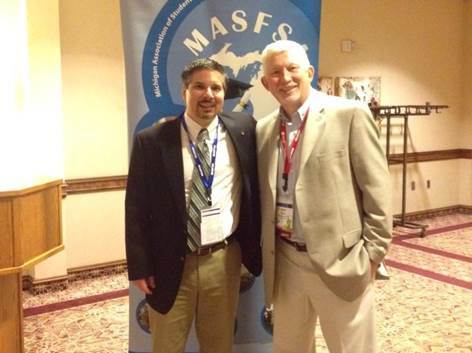 If you would like to see a list of all those recognized, you can check it out here! You should definitely take a moment to view over the list and identify the sites in which you may have interest. The information they provide is invaluable.